As you may have heard, InterWorks’ best asset is by far our people. It’s the thing I’m thankful for day in and day out and one of the first answers I give when asked why I enjoy working here. 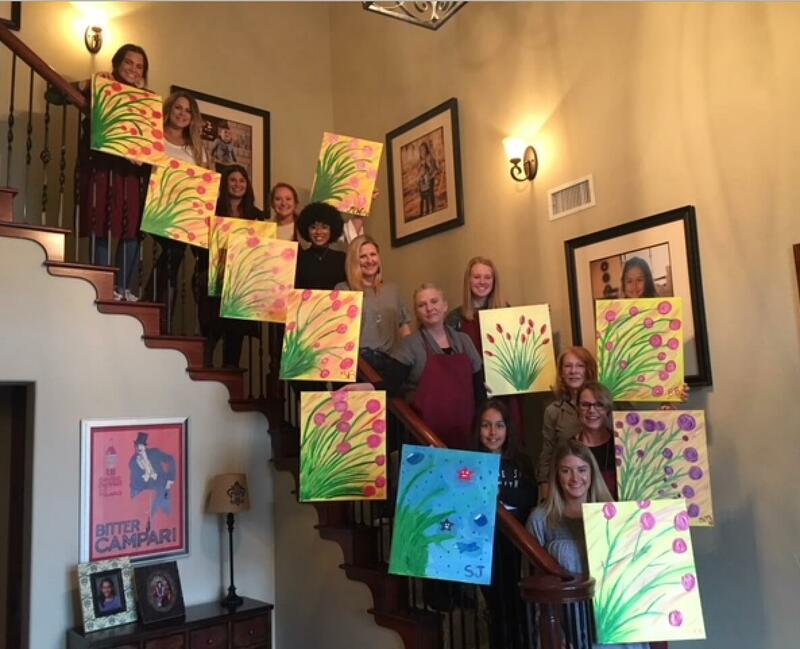 Today is International Women’s Day, and here at InterWorks, while we celebrate the amazing women that work with us every day, we thought we’d take the opportunity to celebrate and highlight some of our people a little extra today. 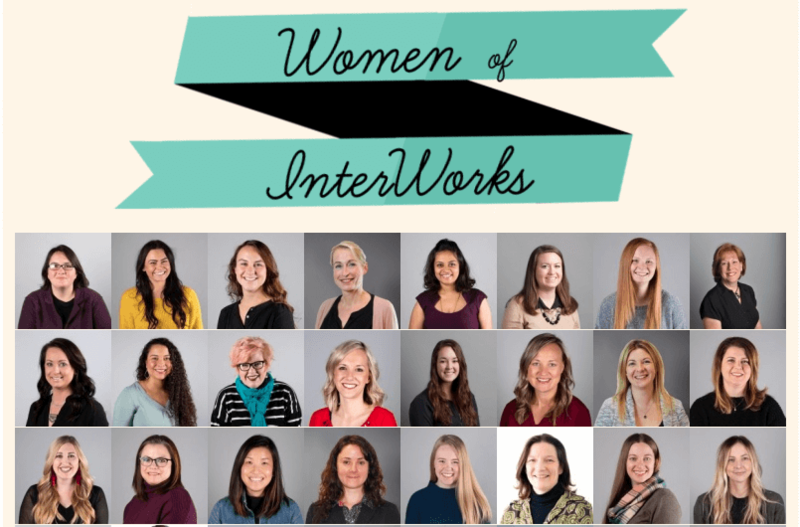 What better way to kick that off than with a viz of the women of InterWorks? We’ve got some awesome women that work across every part of our business all over the world. Hover over individuals to see the role they play within our organization, as well as where they’re located. If that’s not enough, you can click on each of the pictures to read more about individuals in their bio, as well as see some fun hobbies and activities in the photos as well. You can also head over to our People page to see all of our employees and their bios. What’s your favorite part of working at InterWorks? How did you get into your field? Do you have any advice for other women looking to get into your field? What women are you celebrating on International Women’s Day? For me, I know I’ll be celebrating all these amazing women, as well as those who have been my teachers and classmates throughout life. But specifically, I celebrate my mother and my sister who daily demonstrate what it means to be resilient and steadfast in all facets of their lives. Below are some of the responses from our team. We hope you enjoy, and as you’re thinking about these questions, we’d love to hear from you about the women you’re inspired by and celebrating today and every day! Making strong connections and friendships with very genuine people. 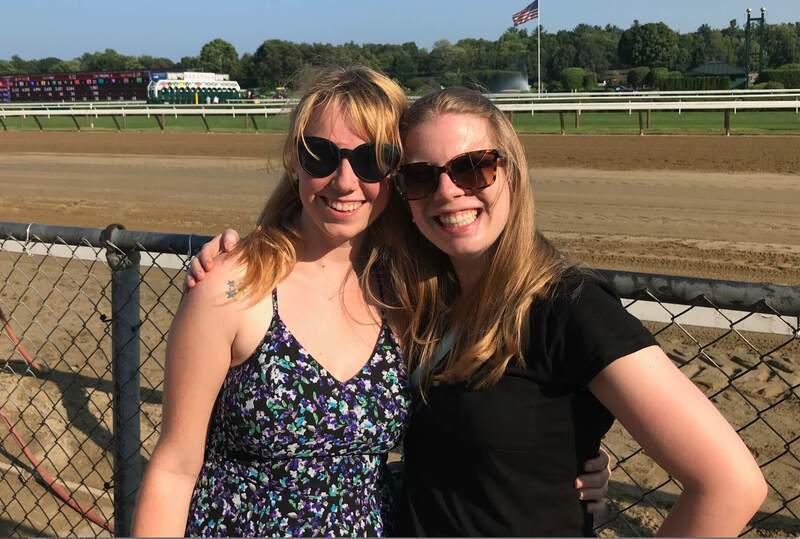 One would think that in working at a company where a lot of the workforce is remote, it would be hard to create meaningful friendships, but it’s been the opposite. I’m forever grateful for the friendships I’ve made here, and I know they will be long lasting. Do you have any advice for other women looking to get into your field? How did you get into it? The great thing about analytics is that there are a multitude of paths to take! The story for a lot of people in data and analytics is that they started out being the go-to person for providing analysis and solutions through data, whether it was their job function or not, and then they just kept expanding their skillset and exposure on their own until finding a role in analytics. 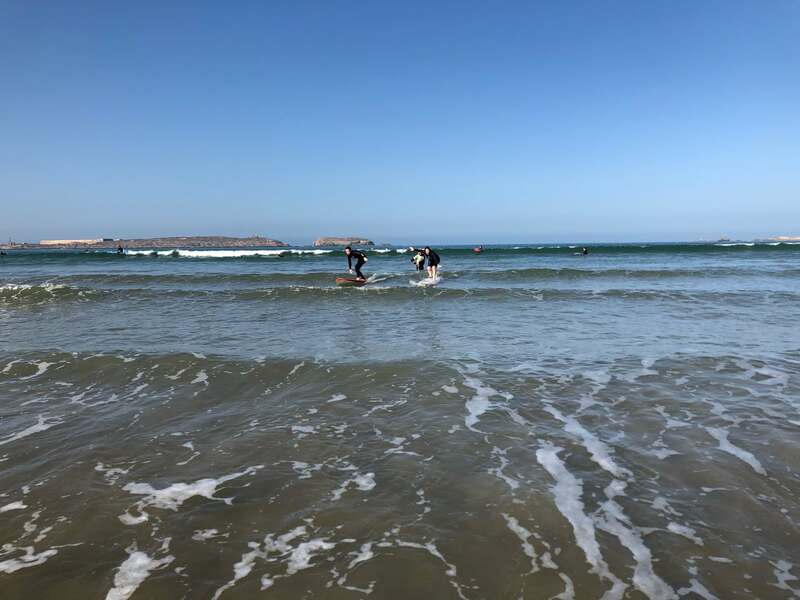 I was working as a data analyst in education and found myself wanting to expand my skillset beyond Excel, so I took a data science part-time course and moved into the private sector for more experience. If you’re interested in data—there are SO many resources out there (cheap and low cost, too)! Take a class, go to a meetup or a women-in-data/tech event and volunteer at hackathons. This will help you understand if that’s what you’re really looking for, and by meeting people in various roles, you can think about how you want to evolve your own skillset for one of those roles someday. And most of all, don’t be intimidated! You can do more than you’ll have ever imagined if you just keep going and be persistent. SO many women!! I’m not the woman I am today without the support from all the women in my life—starting out with my mom, who came to the US in the late ‘70s with a dream to build an amazing life for her family; my childhood girlfriends who I’ve kept in touch with for 20+ years; and women I’ve met along my professional journey who started out as colleagues and are now lifelong friends and mentors. It feels great to work at a place where your passions and ideas are encouraged to come to fruition, and it’s even better I get to work with people with similar enthusiasm. My journey into analytics was a bit roundabout, but the common thread in my route here was my interest in problem solving and understanding and helping others. I was a Japanese major in college, but living in another country and culture sparked my desire to learn more about marketing and consumer behavior, which led to graduate studies in this area. As part of grad school, I began to use software like SPSS (statistical analysis software), which helped me get a job on an analytics team at an ad agency. With each job thereafter, I added to my technical skillset with SQL and Tableau. I also consider myself lucky to have had bosses who recognized my capacity and excitement for learning! With that in mind, if you’re looking to move into analytics, and you don’t have a big technical background, I’d recommend taking some online classes on sites like Udemy to get familiar with tools and concepts and then look for companies and managers that embrace and support learning. My mom, my aunt and my grandmothers. All of them have worked incredibly hard in a myriad of careers. They’ve worked hard so they could make life better for our family, including helping me pursue higher education, and for that, I am incredibly grateful. My favourite thing about working here is how creative I get to be. I wouldn’t normally call myself a creative person, but I am constantly creating things here: content, ideas, presentations, courses, pitches, reasons to talk to people. This means I’m never bored, and there’s a big chunk of my brain being stimulated. Don’t even start to believe that this isn’t a field for you. Times have changed since your mum was a lass. There are more opportunities for women now in this industry than there have ever been (i.e. girls are learning to code from age four), and there is nothing in your chromosomes that says you can’t be a tech entrepreneur, a developer, a consultant, a CTO. Just kick the door down if it’s in your way, because it’s only made of paper. I got into this industry through banking. I don’t come from a tech background at all, nor a finance one, but I arrived at a place in my life where I needed a good income and got hired on my gumption. I jumped in and taught myself, following a meandering path through consulting, self-employment and start-ups to get me here. I have decided to celebrate women on international women’s day who aren’t famous to the world’s eyes but who have broken through their own personal glass ceiling and inspired me. I need to give my mum some love for being a woman from South Wales who has no university education, came from a miner’s family, learned to rally drive when she was 15 and pushed her two daughters into a top school and through to post-grad level. All of this was done to the shock of many of her peers and relatives, I think. She hiked Machu Picchu on her 50th birthday, rode the NY coaster in Las Vegas on her 60th and learned to ski in the decade after that. She’s recently learnt to ballroom dance though she has trouble following a man’s lead. Other women I will be celebrating are Inge and Dion, who choose to live in Georgia, a country where women are still largely expected to follow men, be quiet and stay at home to bring up children. Both are successful in their respective freelance careers while also being feminists, parents and incredibly stylish. I love that there’s always an opportunity to challenge myself and that I’m surrounded by other people who are incredibly encouraging and working hard to create and deliver awesome work. Through a series of random connections and events and quite a bit of work and learning. It was a roundabout journey, and I think it’s so different for everyone. I’ve always been a very tactile and hands-on learner, so I learned a lot (and still do!) by finding things I enjoy or care about and incorporating those into a new skill or tool. I personally think it’s way more fun to show off something you’re proud of than a random online exercise. My advice is to trust yourself. We were all beginners at some point, and it’s easy to let that discourage you from learning something. Don’t be afraid to make mistakes or take on something new. So many! I feel so fortunate to have so many inspiring women in my life from family to friends and colleagues. This year, I’m also especially celebratory of women being authentically themselves and constantly reminding us to continue working hard and pushing forward. To see this happening in so many spheres—entertainment, politics and tech, just to name a few—is so encouraging. My favorite part of being at InterWorks is being surrounded by such talented, warm and generous people every day. Everyone I interact with is always willing to help with any questions I encounter, no matter what they may be in the middle of, and we have a culture that makes people feel valued, known and celebrated. No part of my professional journey has been what I expected. I studied English and Spanish in college, and after an unexpected stint in education, I now find myself working for a tech company. The only thing that has remained consistent along this path is my process of trial and error. 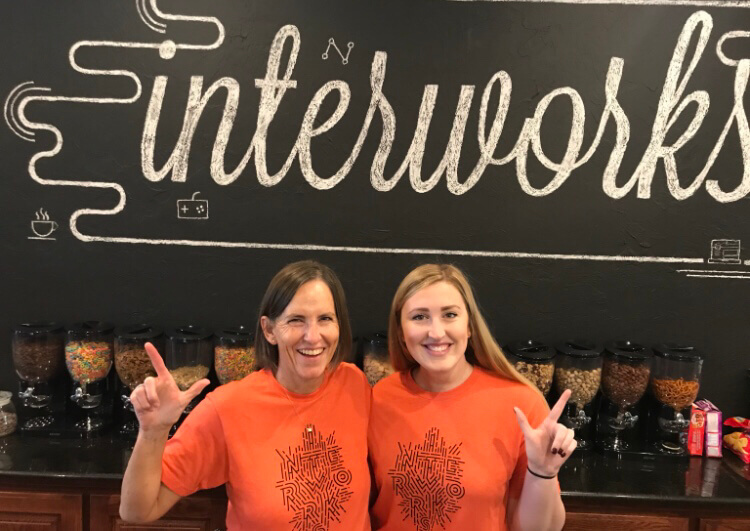 I was looking for a strong and rewarding company culture that would allow me to use my skills and continue to grow and be challenged when I found InterWorks. I think it’s crucial to try things out with an open mind. Honestly examine what you want, and once you figure it out, don’t let anything stand in the way of your pursuit of it. Trust the process and trust yourself. I am full of gratitude for my mom each moment: a woman who has always commanded respect and maintained her strong will, while remaining humble and approachable. I will be satisfied if I end up with a fragment of her fire and wisdom. To be frank, I’m feeling pretty awed by the women I work alongside at InterWorks. Each of them is incredible in her own right and deserves to be celebrated daily. My favorite part of working at InterWorks is the family dynamic. I know I can rely and count on everyone here and that everyone has each other’s backs. On top of that, everyone here is an absolute rock star at what they do. I’ve never met such a large group of talented, intelligent people. 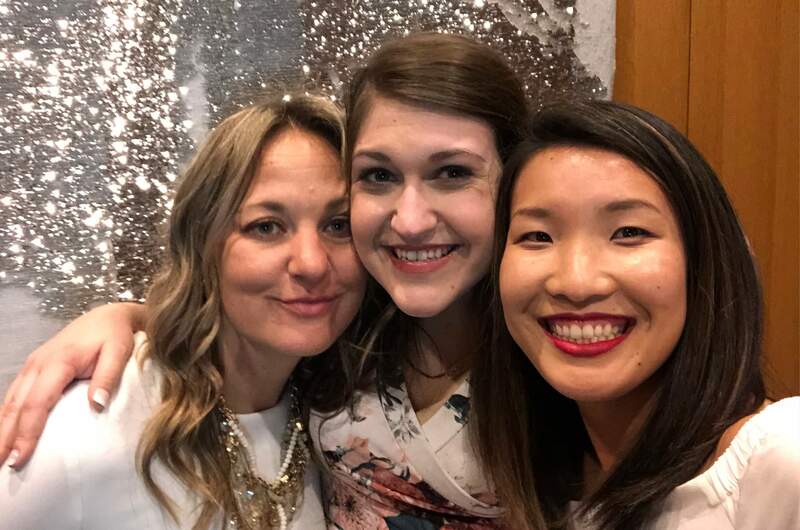 InterWorks folks radiate good energy; any time I’m in an office or in a room with my IW family, my heart is just filled with happiness and love. I seriously love these people. I got to grow up with technology as it grew itself. When I was young, I would watch Disney movies on VHS tapes and play computer games when the internet was still dial up, and Instagram wasn’t a thing. My love of technology was always relevant to my life, and I eventually wanted to know more. I always had to have the newest, latest, greatest piece of tech, and that has carried on into my adulthood. It really wasn’t until high school that I figured this could really be my jam. I started to research what the IT industry was all about. It didn’t take long for me to notice that this was not a common field for women. I thought, “Well, let’s change that.” If there are any women that want to get into IT, my advice is to do as much research as you want and find the areas that interest you most. Don’t be afraid to be the only woman in the room, and don’t be afraid to speak up and make the right kind of noise. People are often surprised when they learn what industry I work in—hey, girls can be into computers, too! Break the stigma and set the expectation of being great. Women are the most powerful, especially when we are working toward something that we are passionate about. The resources are out there and available to you; you just have to find them. Today, I’m celebrating all women. A few that inspire me on a daily basis are Serena Williams, Katherine Johnson and Michelle Obama—women that are strong, smart, kind and all-around badass. They serve as a reminder that I can do anything that I put my mind to and to never sell myself short on success. Note: This blog and the data viz below was created collaboratively by Rachel Kurtz and Katie Bridges. 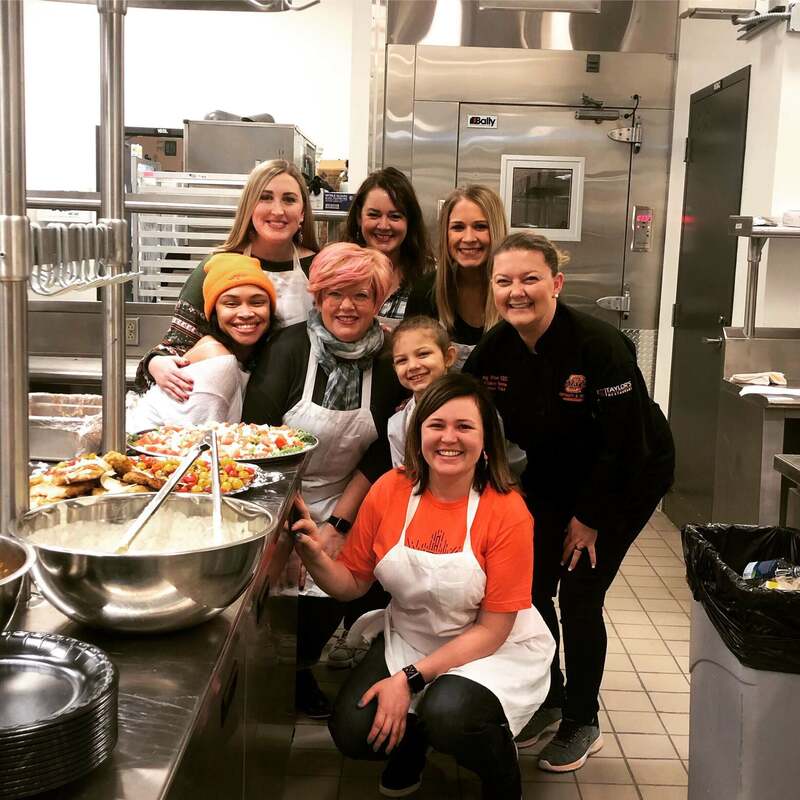 The post Celebrating the Women of InterWorks appeared first on InterWorks. A few weeks ago, I saw If Beale Street Could Talk and experienced yet another representation of the way injustice persists in our society. The film is beautiful and tragic, showcasing a love story simultaneously strained and strengthened by our criminal justice system. Walking out of the film, I certainly felt sadness, but the overwhelming feeling was compassion—compassion for people whose struggles I can relate to in some ways and will never be able to relate to in other ways. In light of the power that film has to evoke compassion and empathy, I pulled up a 2018 story from The New York Times with the intention of revisiting the dataset so that we can celebrate Black History Month and continue to harness the power of film to help us understand other people’s experiences. 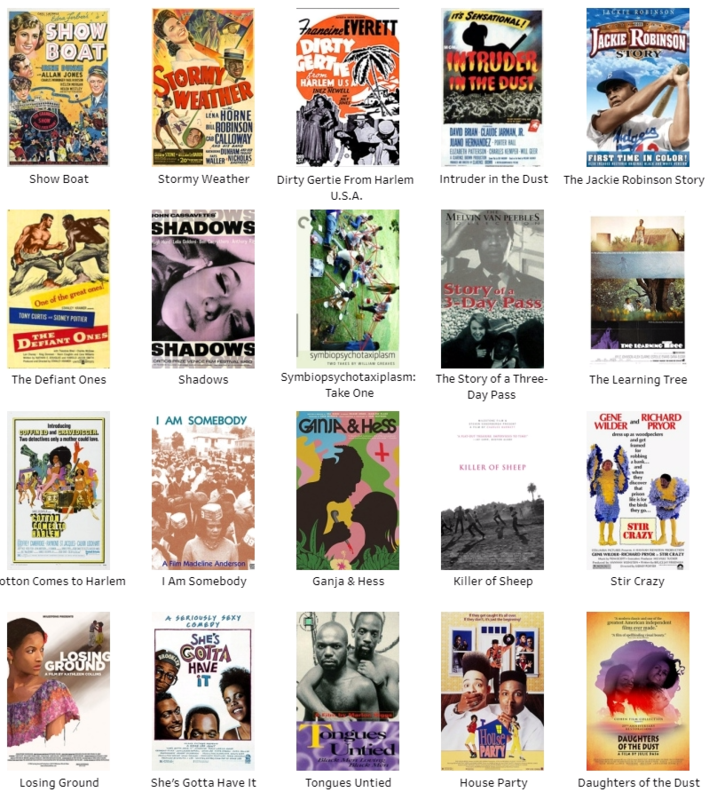 These 29 films bring us closer to what the black experience in American cinema has been throughout the 20th century. This is by no means a comprehensive, or even unified, view of what it means to be black in American cinema, and the diversity of films even highlights the complexity of the black experience in cinema. As we move through our own journey toward diversity, inclusion and equity at InterWorks, understanding other people’s experiences has been paramount in recognizing where we need to focus our energy. So let this list give you an opportunity to celebrate and engage with just a few subsets of other people’s experiences. Maybe you relate to the experiences in the films or maybe you don’t, but hopefully it’s an opportunity for you see the world through someone else’s eyes, no matter what experience you’re bringing to the theater. The post Celebrating Black History Month Through Cinema appeared first on InterWorks.